Sometime later this year, the director of the Linus Pauling Institute at Oregon State University will cross over a threshold he’s been working toward for nearly 15 years. To get more information about the F.A. 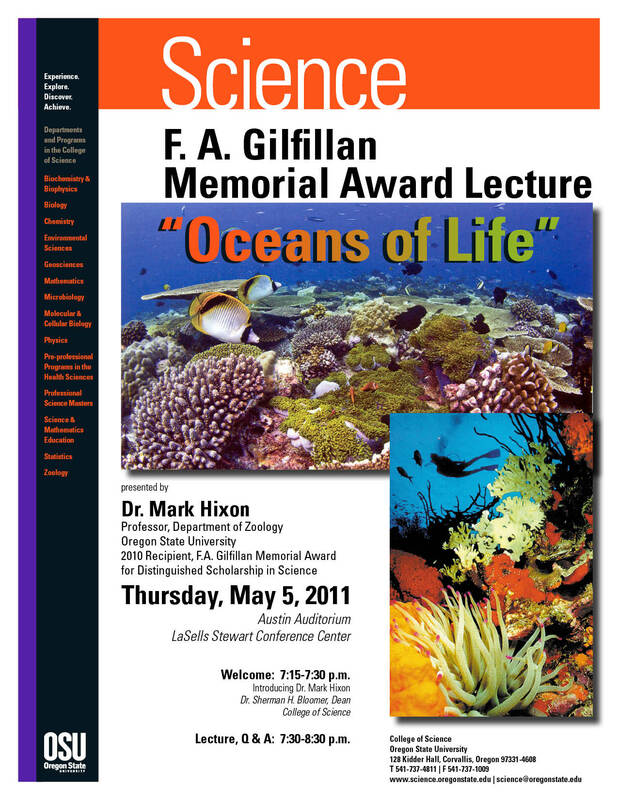 Gilfillan Memorial Award Lecturer Mark Hixon and his research on Lionfish, please read Nick Houtman’s story Lionfish Outcompete the Natives on Coral Reefs in terra magazine. Brook receives Google fellowship for science communication | News & Research Communications | Oregon State University. Thinking Like a Physicist « Terra Magazine.